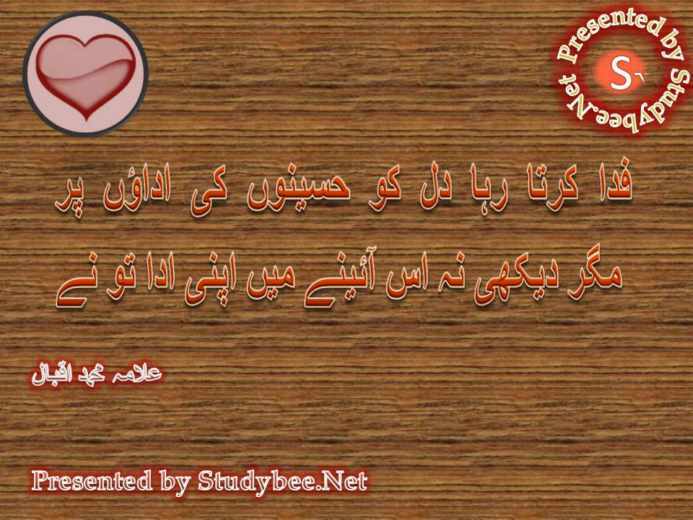 Love Poetry in Urdu with Pictures: Urdu poetry is known for its gracious usage of rhythm in echoing the greenery of Love’ Paradise, as dreamt of by all lovers. Though Urdu Poetry is considered and evaluated from a point of view for a relatively shy and timid society and its language, yet the powerful impact of Urdu poetry is far reaching, way deeper than one would imagine at first. This is the right place if you are looking for select Urdu Love and Romance poetry. We love Urdu poetry like English and Arabic, We love Urdu language among all others that humans have devised to communicate, to woo, to coo and to utter the very essence of their hearts in a musical medium with hidden and underlying metaphors and symbolic significances as well as allegorical inferences.